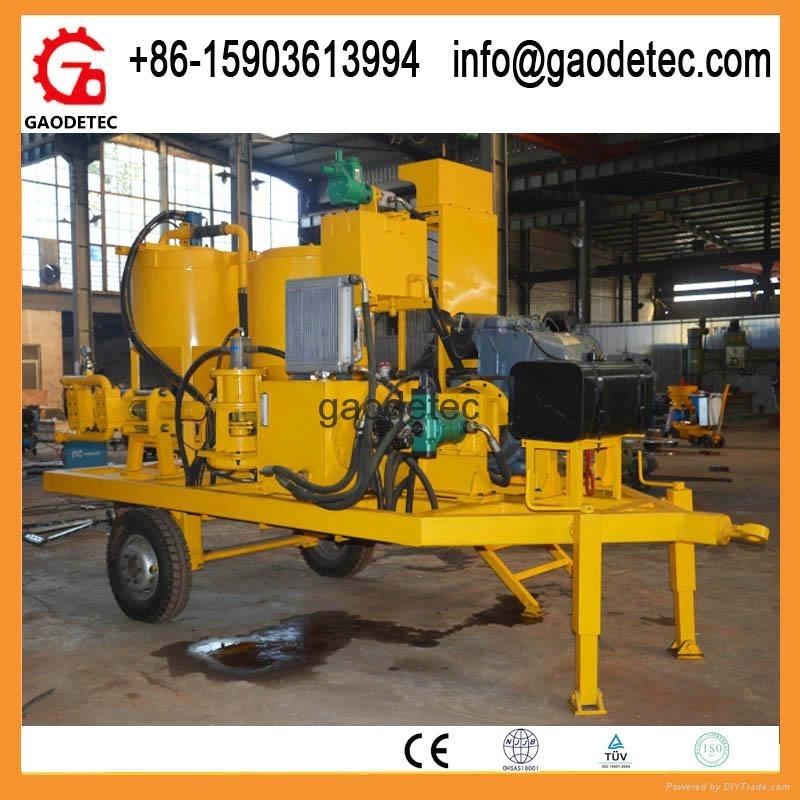 The GGP200/300/100PI-D grout station is combination of mixer, agitator and hydraulic piston grout pump in one plant. 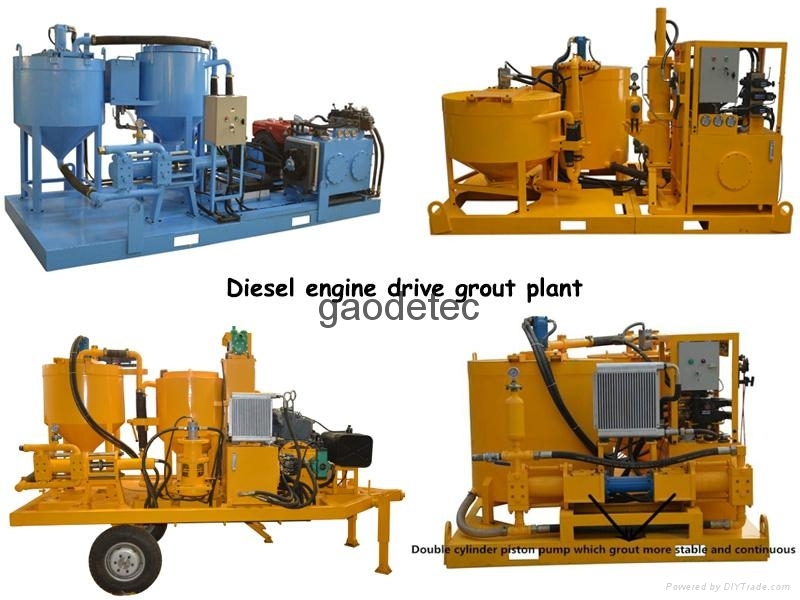 Gaode design the grout plant with trailer, more easy to move, The grout equipment mainly suitable for mixing and pumping water, cement, sand, bentonite, filler, clay power, silicates and other additives. 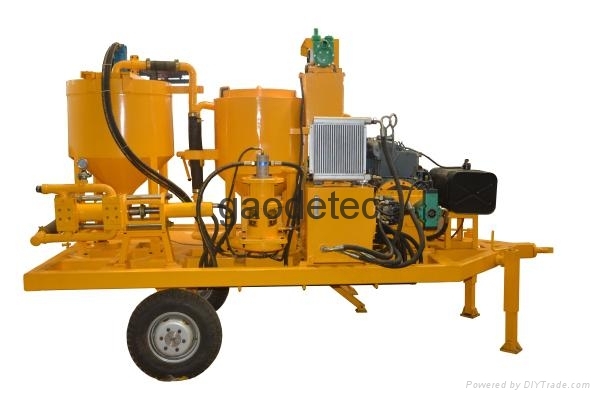 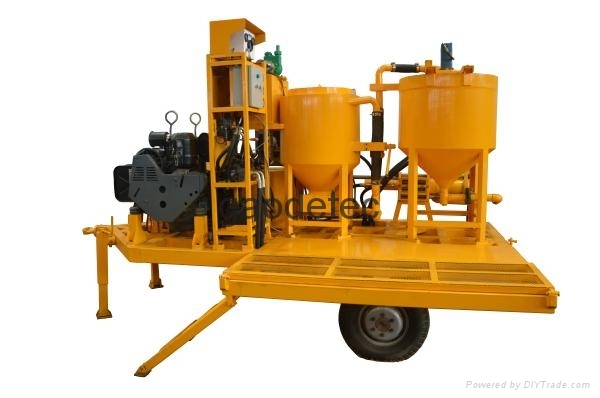 It is combination of mixer, agitator and hydraulic grout pump in one base frame.